1. 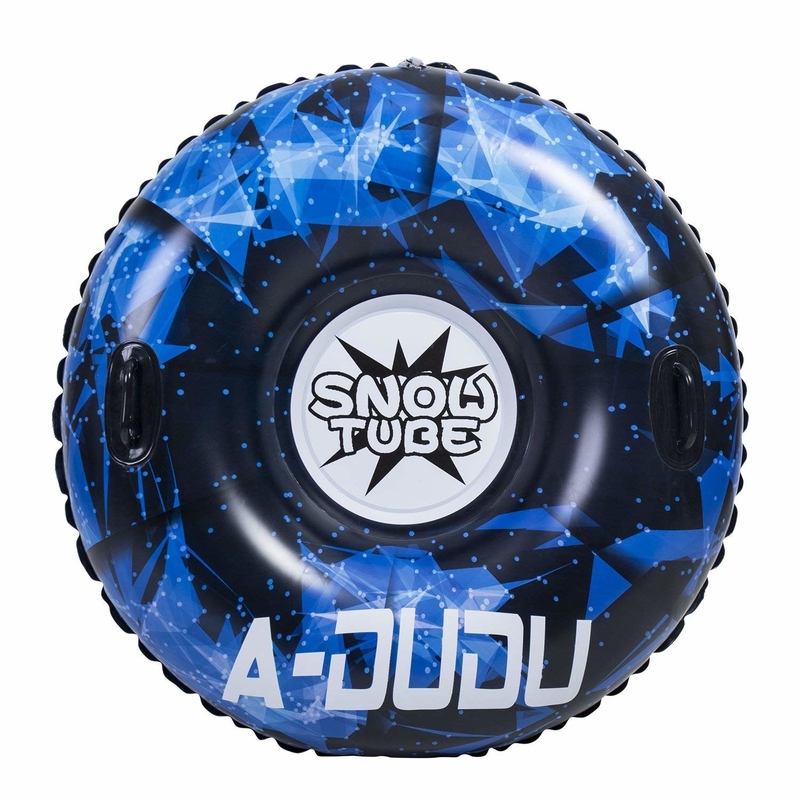 An investment of a snow tube with a heavy-duty cover and a long leash for pulling. 2. 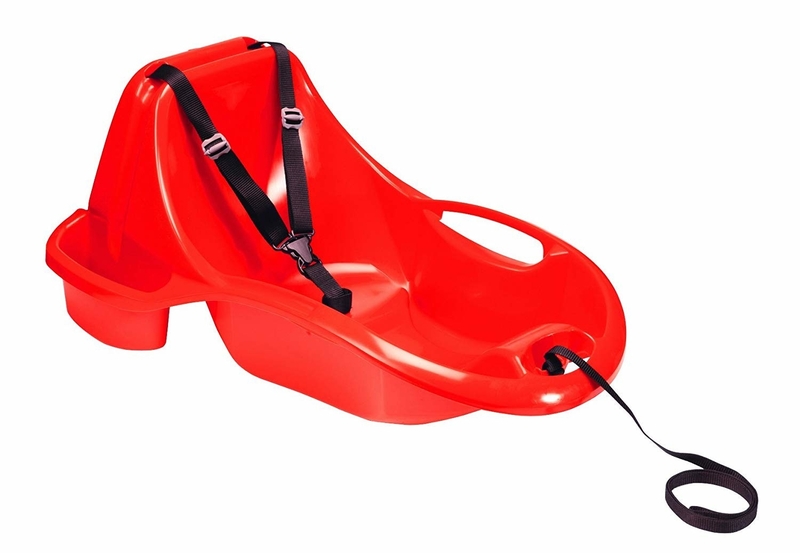 A kid's pull sled with a harness and sturdy back to keep kids who can't sit up just yet upright for snow day fun. 3. A steel runner sled as a Christmas card-perfect look with steering power for maximum control. 4. 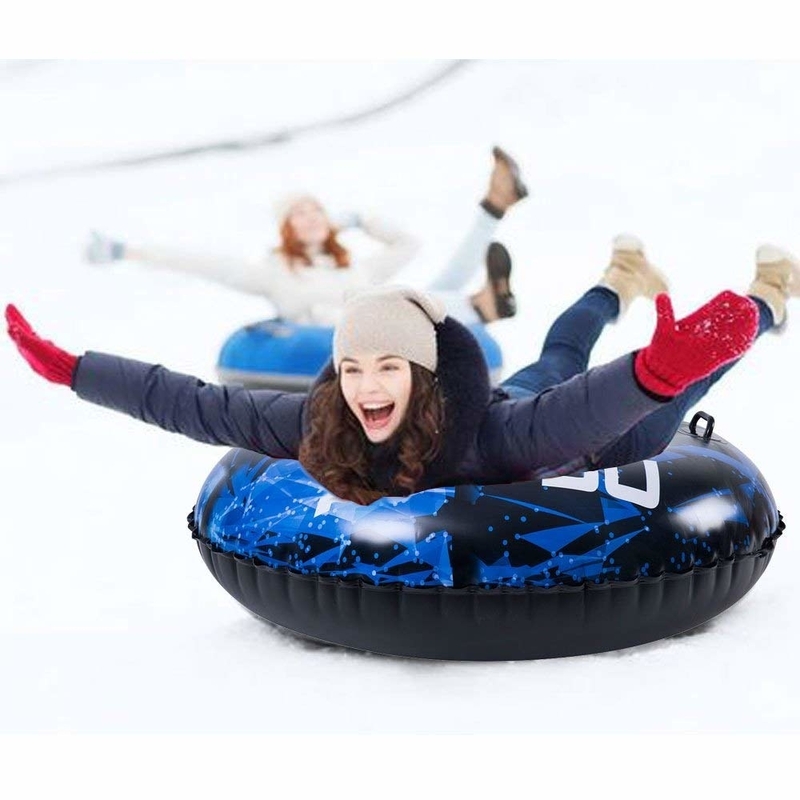 An inflatable snow tube that'll be perfect for storing and then soaring down hills. 5. A sturdy utility sled to help you haul ice fishing supplies, firewood, duck decoys, and all kinds of other things. And check out a bigger utility sled. 6. A reindeer snow tube as a wintry ride in the winter and a pool float in the summer. 7. A wooden toddler sleigh and cushion that'll make your family wish for a snow day. 8. A slippery downhill sprinter with a rope for unsure kids to hold onto. 9. 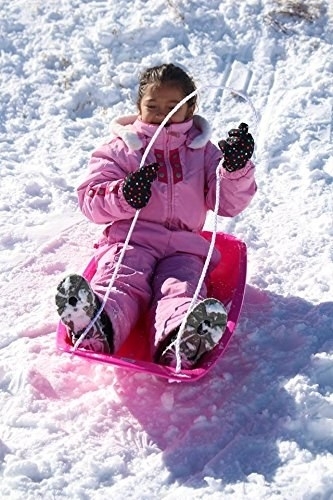 A toddler pull sled with some structure to keep little ones upright as they go zipping through the snow. Measures 26.5”x21.5”x11.5”. Recommended for children ages 3 years and under. 10. 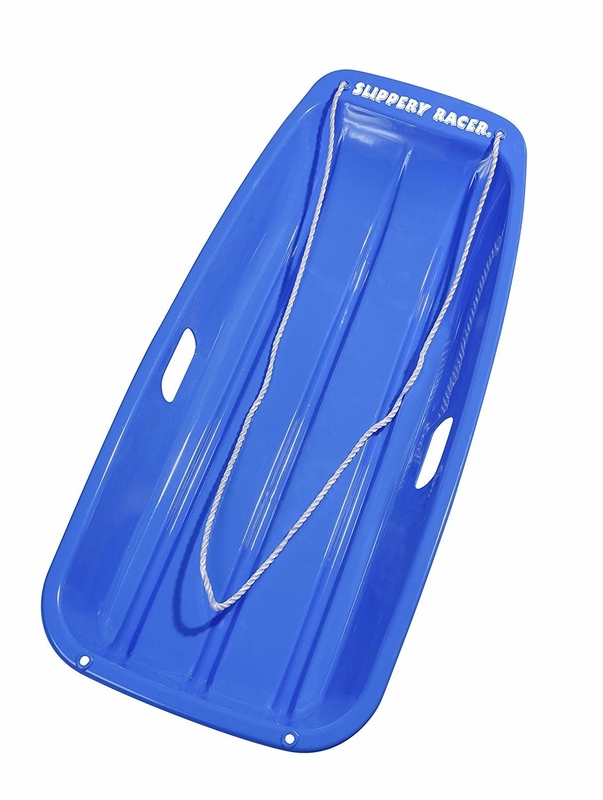 A sporty snow sled made of state-of-the-art materials and engineered for optimal steering. 11. An adorable snow seal to act as a supportive friend for all kinds of ~mild~ snow adventures. 12. 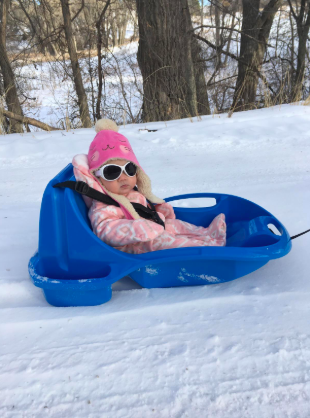 A lightweight toboggan sled you'll have zero problems hauling back up the hill after each joyous ride. Measures 38.5"x40"x20" and holds up to 220 lbs. Recommended for ages 15+. 13. A convertible garden wagon sleigh that'll give you some serious flexibility in places with four proper seasons.